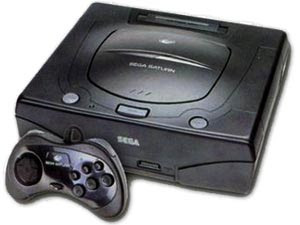 NintenGen: *Rumor* Sega Saturn coming to VC? "The rumor comes from fellow reader Fei34 who claims that a fellow DigiPen employee told him that Sega Saturn games would indeed be making an appearance on the Wii. Although this could still be wells away from becoming true, the fact that DigiPen, a highly respected video-game school in Redmond Washington, has this sort of knowledge is pretty intriguing. Especially by the fact that both Nintendo of America’s offices and DigiPen’s campus actually interconnects by a simple hallway. Could Fei34’s DigiPen source have even closer access to NOA’s employees in which he/she may have gotten the information? The only thing that Fei34 left me was a confirmation that a “big game was coming.” Whether that’s a Sega Saturn game (like Panzer Dragoon Saga) or not, only time will tell. So don’t dismiss Nintendo’s systems on the Virtual Console as being cemented just yet." I never knew which games were good on the Saturn besides Panzer Dragoon. The more games the better. Anyone know of the stand out games on the Sega Saturn? Leave me a list in the comment section below. Ok that and Panzer. There has got to be something else right guys? Nights into Dreams is pretty cool. Dragon Force, Mr. Bones, Radiant Silvergun, Guardian Heroes, Dark Savior, Shining Force 3, Albert odyssey, shining Wisdom. All of these were awesome. Maybe it'd be more likely to get the saturn version of multiplatform 32-bit games as well. About a year or so ago, I remember hearing about some new compression technology that would take a cd based game (like a saturn game for instance) and compress it 10 fold, thus making your average saturn game bein about a 60MB download. Saturn games via virtual console seems alot more doable now yarrrrrrrrrrrrrrrrrrrrr. Winning Post. Rare to find.